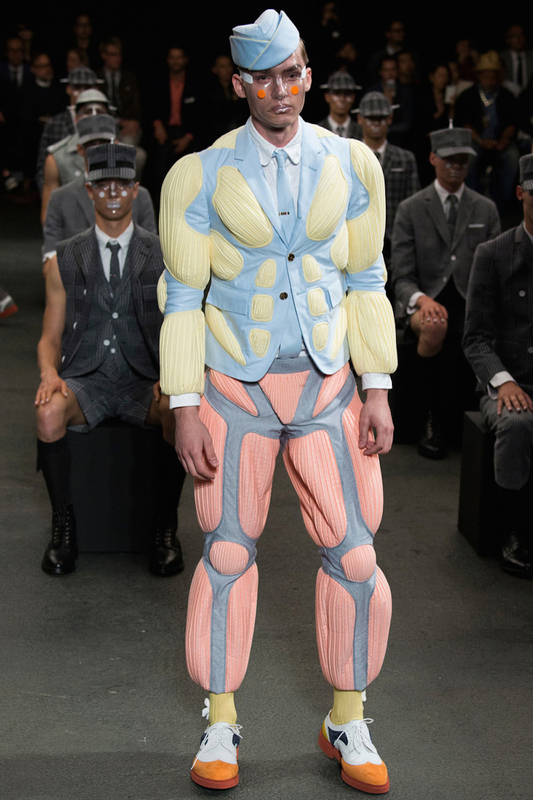 One can always rely on Thom Browne to push the boundaries of suiting. There was a kind of sci-fi, Spornosexual madness that ran rapid in Pairs today. The body-obsessed trend was predominantly quarantined in gyms around the world, until today when an outbreak broke on a Parisian runway. 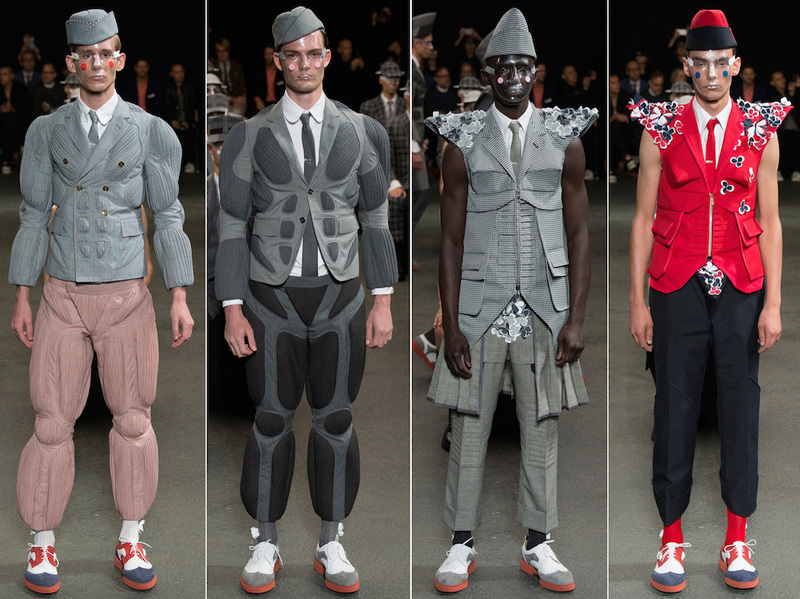 Often carrying the torch for theatrical menswear, Thom Browne established a well-conceived range of avant-garde threads for Spring/ Summer 2015. 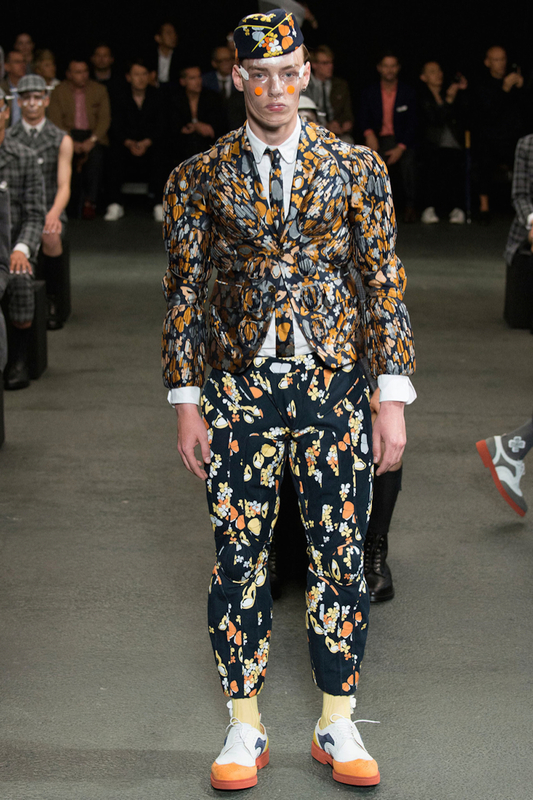 Browne’s show was yet another example of the designer’s hypnotic power and showmanship. The guy’s mastered the ability to successfully blend tradition and innovation. This season he gave the bold, young rebel who’s wearing his fashions a new suit of armor reinterpreting his iconic gray suit. As Steven Lisberger’s “Tron” blared, Browne turned up the volume of his suiting creating an exoskeleton of sorts out of puffy, laser-cut pink, red and grey numbers. 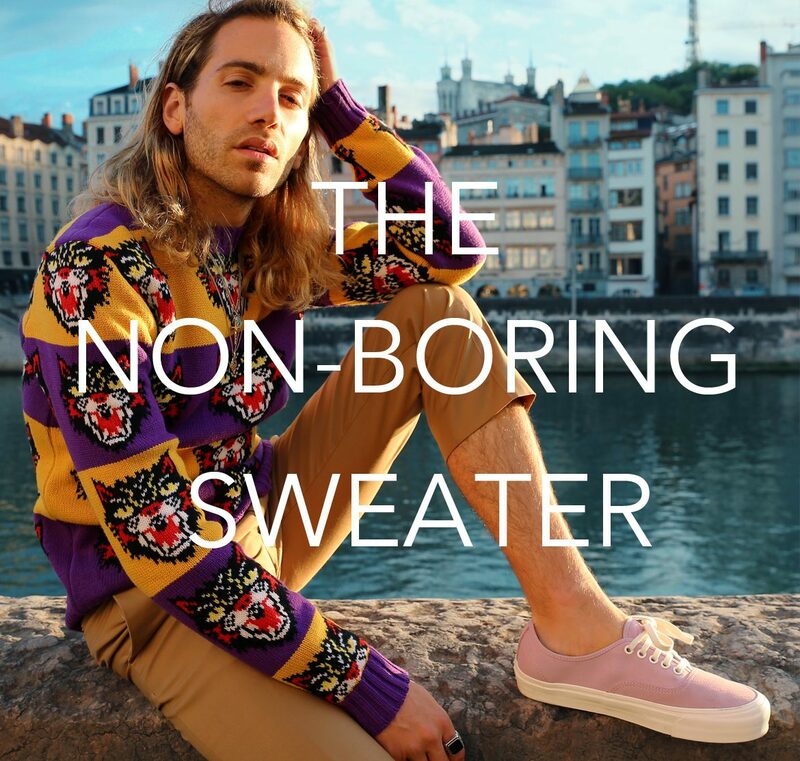 Among the juiced up, padded and futuristic threads walked silk jacquards, bermuda shorts covered in striped and floral prints, short-sleeve tuxedo jackets and embroidered seersuckers. 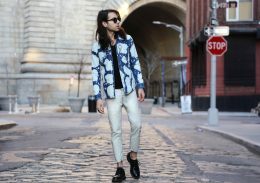 Theatrics aside, the line up offered some approachable prints and crowd-pleasing color combinations. Hey baby, we don’t mind all the watching.